NEW YORK (AP) — Newly arrested WikiLeaks founder Julian Assange needs to "answer for what he has done," Hillary Clinton said on Thursday. RICHMOND, Va. (AP) — Former Army intelligence analyst Chelsea Manning is seeking her immediate release from a Virginia jail after spending nearly four weeks at the facility. WELLINGTON, New Zealand (AP) — New Zealand authorities said on Friday that convicted secrets leaker Chelsea Manning can enter the country for a speaking tour, a day after tour organizers said she couldn't enter Australia. CANBERRA, Australia (AP) — Convicted classified document leaker Chelsea Manning will not be allowed to enter Australia for a speaking tour scheduled to start Sunday, her event organizer said on Thursday. WASHINGTON (AP) — The Defense Department is poised to take over background investigations for the federal government, using increased automation and high-tech analysis to tighten controls and tackle an enormous backlog of workers waiting for security clearances, according to U.S. officials. 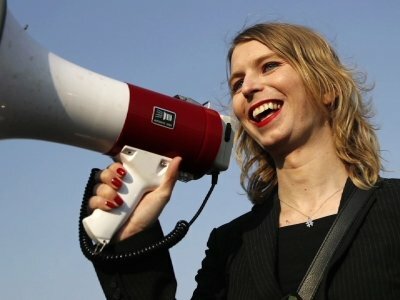 BALTIMORE (AP) — A close friend and colleague of Chelsea Manning said Monday that the convicted leaker of government secrets and longshot candidate for U.S. Senate is safe after a photo on her Twitter account apparently showed the 30-year-old woman standing on the edge of an upper-story window ledge. NORTH BETHESDA, Md. (AP) — Chelsea Manning is no longer living as a transgender woman in a male military prison, serving the lengthiest sentence ever for revealing U.S. government secrets. She's free to grow out her hair, travel the world, and spend time with whomever she likes. Senate hopeful Chelsea Manning said she'll work to abolish federal immigrations and customs agencies if successful in her bid to unseat U.S. Sen. Ben Cardin, Maryland Democrat. Ms. Manning, the former Army intelligence analyst convicted of leaking classified documents to the WikiLeaks website, listed eliminating both the U.S. Immigration and Customs Enforcement (ICE) and Customs and Border Patrol (CBP) as top priorities on her platform unveiled Thursday. 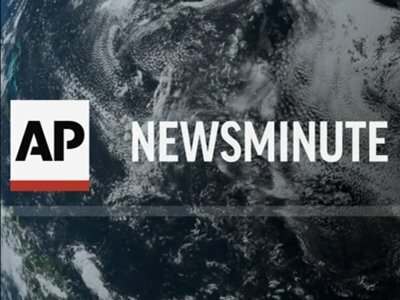 WICHITA, Kan. (AP) — Authorities in Kansas have confirmed the death of the computer hacker who turned in Chelsea Manning to law enforcement for giving thousands of documents to WikiLeaks. Sedgwick County spokeswoman Kate Flavin said Friday that Adrian Lamo's body was at the morgue in Wichita, but she had no other details about the 37-year-old's death. ANNAPOLIS, Md. (AP) — Maryland Sen. Ben Cardin has filed for re-election, saying he always runs a very aggressive campaign on the issues and plans to do so again. This time it'll be against Chelsea Manning. Cardin filed Monday to run for his third U.S. Senate term. Manning, a transgender woman and former U.S. Army private who was convicted of leaking over 700,000 classified documents, filed last month to run in the Democratic primary. BETHESDA, Md. (AP) — In a story Jan. 18 about Chelsea Manning running for the U.S. Senate in Maryland, The Associated Press reported erroneously that Manning filed in Montgomery County. She filed at the Maryland State Board of Elections in Annapolis. BALTIMORE (AP) — Chelsea Manning's high-profile bid for the U.S. Senate threatens to upend the 2018 Maryland Democratic primary. The former U.S. Army private convicted of leaking over 700,000 classified documents has an uphill battle to defeat Sen. Ben Cardin. But Manning's international fame will almost certainly prevent the two-term senator from ignoring his primary challenger in the heavily Democratic state. Three days after making her intention known to federal election officials, Manning tweeted "yup, we're running for senate" with an attached campaign video indicating her intention to run in the 2018 Maryland Democratic primary. She sent a subsequent tweet seeking donations to her campaign. OTTAWA, Ontario (AP) — Chelsea Manning said Monday she was denied entry into Canada because of her criminal record in the United States. 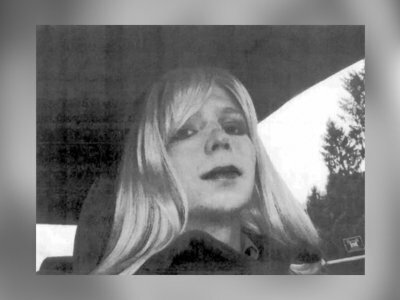 The transgender woman was known as Bradley Manning when she was convicted in 2013 of leaking a trove of classified documents. She was released after serving seven years of a 35-year sentence, which was commuted by President Barack Obama in his final days in office. CAMBRIDGE, Mass. (AP) — An online petition is criticizing Harvard University for its decision to revoke Chelsea Manning's status as a visiting fellow. The Boston Globe reports (http://bit.ly/2fDGmIK) the five Harvard graduates who organized the petition plan to present the results to the university Friday. The 29-year-old Manning is a transgender woman who was known as Bradley Manning when convicted in 2013 of leaking a trove of classified documents. NANTUCKET, Mass. (AP) — Chelsea Manning said Sunday she is not an "American traitor" as her critics have claimed, and that she did what she thought was right. Chelsea Manning has told a Massachusetts crowd watching her speak at a conference aimed at "creative thinkers" that she's not a traitor as her critics have claimed. Manning addressed the annual conference for The Nantucket Project in Nantucket on Sunday. It was one of Manning's first public appearances since being released from a military prison in May. CAMBRIDGE, Mass. (AP) — Twelve Harvard University student groups are condemning the school's reversal of a decision to name Chelsea Manning a visiting fellow. The groups released a statement Saturday calling for Harvard to reinstate Manning as a fellow. Harvard reversed its decision on Friday, one day after CIA Director Mike Pompeo scrapped a planned appearance over the visiting fellow designation for the soldier convicted of leaking classified information. So what part of “traitor” do you suppose the folks at Harvard didn’t understand? It took the resignation of Mike Morell, a former deputy director and acting director of the CIA, from a fellowship and the abrupt cancellation by current CIA Director Mike Pompeo of a scheduled speech to make the powers that be understand that honoring Chelsea Manning as a visiting fellow was way over the line. WASHINGTON (AP) — CIA Director Mike Pompeo scrapped his appearance Thursday at Harvard University over the school's decision to make Chelsea Manning, who was convicted of leaking classified information, a visiting fellow. Pompeo called Manning an "American traitor." He said he agreed with military and intelligence officials who believe Manning's leak endangered the lives of CIA personnel. CIA Director Mike Pompeo says he scrapped his appearance Thursday at Harvard University over the school's decision to make Chelsea Manning, who was convicted of leaking classified information, a visiting fellow. CAMBRIDGE, Mass. (AP) — The list of political fellows coming to Harvard University now includes former White House press secretary Sean Spicer and former Army intelligence officer Chelsea Manning. Both are among a group of political figures joining the Harvard Kennedy School's Institute of Politics this fall as visiting fellows. Spicer served as press secretary for President Donald Trump until his resignation in July. He was previously communications director for the Republican National Committee. NEW YORK (AP) — Chelsea Manning believed she had a "responsibility to the public" and didn't think she was risking national security when she leaked a trove of classified documents, the soldier said in her first interview since being released from a military prison last month. WASHINGTON (AP) — A lawsuit brought by Pvt. Chelsea Manning over the conditions of her confinement has been dismissed. Manning, the Army soldier who was sentenced to 35 years in a military prison for giving classified materials to WikiLeaks, was released May 17 from lockup at Kansas' Fort Leavenworth after President Barack Obama commuted her sentence before leaving office. KANSAS CITY, Mo. (AP) — Army Pvt. Chelsea Manning is revealing her new look as a woman, after being freed from a Kansas military prison and a 35-year sentence for leaking classified materials. The transgender soldier formerly known as Bradley Manning took to Twitter and Instagram Thursday, posting a portrait photograph of her with short-cropped hair, bright red lipstick and a dark outfit with a plunging neckline. KANSAS CITY, Mo. (AP) — Army Pvt. Chelsea Manning, spared by presidential clemency from the rest of a 35-year prison term for giving classified materials to anti-secrecy website WikiLeaks, stepped out of a military lockup Wednesday and into a future she said she was eager to define. 2007: Manning, then known as Bradley Manning, joins the Army and trains in Arizona as an intelligence analyst. Manning was convicted in 2013 of stealing 750,000 pages of documents and videos before leaking them to WikiLeaks. CANNES, France (AP) — Chelsea Manning, the transgender soldier convicted of giving classified government materials to WikiLeaks, will participate in a documentary about her. Pulse Films announced the film at the Cannes Film Festival on Wednesday, shortly before Manning was to be released from Fort Leavenworth in Kansas. The film, to be directed by British filmmaker Tim Travers Hawkins and executive produced by "Citizenfour" filmmaker Laura Poitras, is titled "XY Chelsea." The U.S. president personally appealed to the FBI director to abandon the bureau's investigation into the fired national security adviser, prompting a furious denial from the White House. WASHINGTON (AP) — Pvt. Chelsea Manning, the soldier convicted in 2013 of illegally disclosing classified government information, will remain on active duty in a special status after her scheduled release from prison Wednesday, the Army said Tuesday. An Army spokeswoman, Lt. Col. Jennifer Johnson, said Manning will be on "excess leave" while her court-martial conviction is under appellate review. In that status she will be unpaid but will be legally entitled to military medical care. KANSAS CITY, Mo. (AP) — The soldier imprisoned for leaking hundreds of thousands of classified military documents to WikiLeaks released her first statement Tuesday since being granted clemency, saying she hopes to use lessons she's learned in prison to help others. WASHINGTON (AP) — Defense Secretary Ash Carter said Wednesday he had opposed commuting the prison sentence of convicted leaker Chelsea Manning, who was convicted in 2013 of espionage and other crimes for leaking classified information while deployed in Iraq. "That was not my recommendation," Carter said in an Associated Press interview. "I recommended against that, but the president has made his decision."